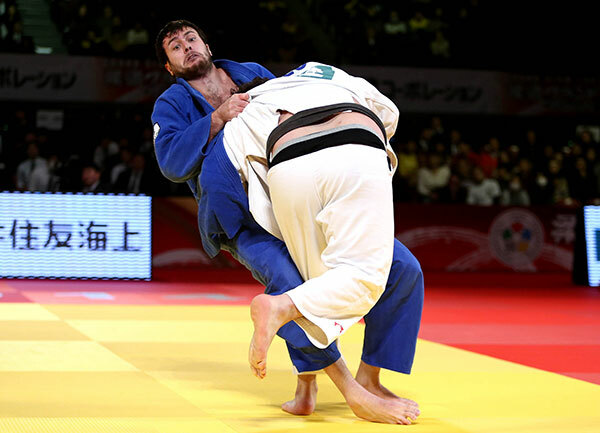 Today was the last day of the Judo Grand Slam, Tokyo 2014, but it was also the very last day of competition of the 2014 edition of the World Judo Tour. After 5 Grand Slams, 11 Grand Prix and successful world Championships in Chelyabinsk, the five last categories put a perfect and extraordinary conclusion to a season full of excitement and beautiful judo. Since the Judo Grand Prix in Havana, all IJF World Judo Tour events have been counting for the Olympic Qualification as it was once again the case in Tokyo this weekend. Time has come for athletes and official to take a break until next IJF event, which will be held in February in Düsseldorf. Next year, the Judo Grand Slam of Paris will take place in October, before coming back to its traditional position within the calendar, at the beginning of February 2016. This last day of competition was the occasion to meet with Mr. UEMURA Haruki, Olympic and World Champion and President of the Kodokan, where Judo was created by Professor Kano Jigoro (Kano Jigoro Shihan) in 1882. Mr. UEMURA, could you describe what is Kodokan today? Judo was created in 1882 by Kano Jigoro Shihan. Since then, dozens of thousands of people studied and spread judo around the world. Today, I think that the Kodokan has a big responsibility to help spreading 'proper judo' throughout the five continents. If I look at the number of judoka who do judo, from small children to elders, I think that we don't have only to focus on the top level and to see judo as a fantastic Olympic sport, but we also have to stick to our common roots and to develop Randori (practice) and Kata. In 2014, we have for instance started a new programme called 'Youth Camp' to welcome children, cadets and juniors. Any country is able to participate. During these Youth Camps, the children, cadets and juniors can discover the Japanese culture like the KIMONO (traditional dress) or even the Kendo. We want them to have a good taste of Judo and to have a better idea of what is, according to us, 'proper judo'. This will continue on in 2015 and every year. Mr. UEMURA, could you explain to us, what is proper judo? You know that judo is based on strong principles. Technically speaking those are kuzushi-tsukuri-kake gathered into the RIAI concept (unbalancing the opponent - fitting or entering - execution). Judo is also based on the principle of 'maximum efficiency, minimum effort' (seiryoku zen'yō). It means that we must use what we have, the main target being to improve ourselves and through the practice of Judo to study the respect for others. Talking about 'proper judo' means that we are trying and willing to spread Kano Shihan's last teaching: “Judo is the way to use most efficiently one’s mental and physical strength. By training, one should discipline and cultivate his body and spirit through the practice of techniques for offence and defense, thereby to master the essence of this way. And, by dint of these means, it is the ultimate goal of Judo to build oneself up to perfection and benefit the world”. Through Judo practice we can improve the technique but also the spirit and through judo practice we contribute to improve the humanity and we help the development of the society. Everything starts from the judo spirit and in judo everything starts with the bow to show respect and appreciation to the opponent or the partner. For instance, if one judoka doesn't properly bow or doesn't have a proper judogi, this is against the spirit of judo. Proper judo is to grip your opponent and then use the technique plus the power and the spirit to overcome him or her. Fighting is not only about technique and spirit but it is also about how the humanity and the world go. Through judo training we try our best to reach our goals and for that we have to show respect to the teacher, to the dojo. 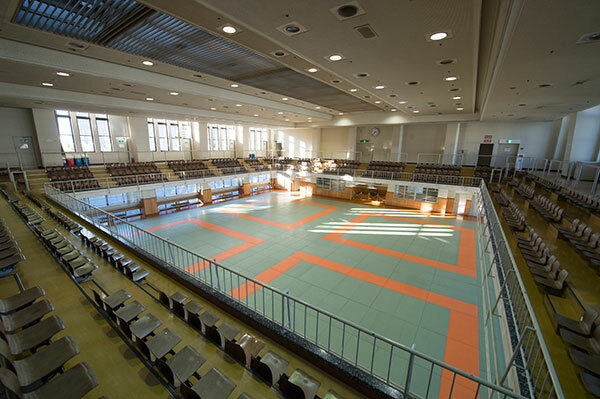 Judo started in Japan and in the Kodokan. But today Judo is not any more a Japanese activity. It is part of the worldwide culture and Kodokan is not only meant to represent Japan. We are open to the world and we are happy to welcome anybody who is interested. 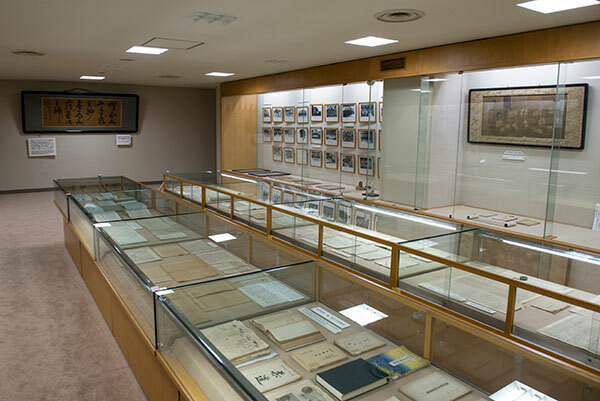 For instance, at the Kodokan, we have a museum, which objective is to display the judo history to the world. In judo, we have also many kata and the history shows that there are even more kata to be taught. That's what we want to offer to the next generations. Next year, we will also publish a judo dictionary. Over the past year, judo changed a lot because Judo is a major Olympic sport and we have to adapt and follow the dynamic of sports. Judo is like a living body. But if some elements, especially technical elements can be adapted, we must not change the nature of judo. Concerning the leg grabbing for instance, it was necessary to adapt if we consider judo as a sport. Nonetheless, as Kodokan we want to guarantee that judo remains the same in its essence and we have to keep the culture. Mr. UEMURA, could you explain in more details, what must not be changed? The most important thing is to 'try to get ippon' and to always look for the best technique. When we have a fight that didn't conclude with an ippon, at the end of the regular time, we must be able to determine who tried his/her best to score ippon. 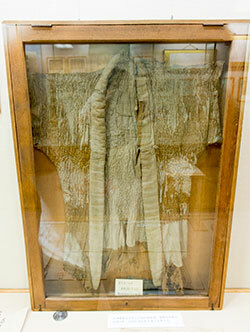 Judogi is very symbolic of judo as well. In judo, we must grip in order to get ippon. It is important to secure that we have proper nage-waza (standing) and katame-waza (groundwork) technics. And of course last but not least, we must preserve the bow. We are the only Olympic sport that shows so much respect and appreciation to the opponent. 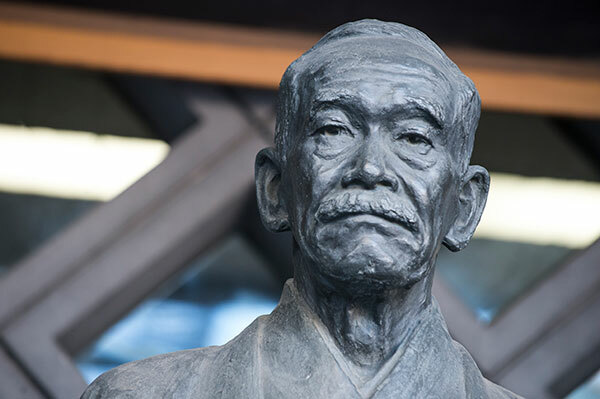 Do you have the feeling that today, Kano Jigoro's spirit is still alive? Definitely yes! Even if I think that people must show more respect. Our society needs it. It is important in judo for instance not to explode with joy when you win or to show too much sadness when you lose. When you are a judo teacher, it is not only important to teach, but it is important to make people think about what they are doing. Could you please detail this concept? SHU is the stage of observance. You have to follow your teacher and practice faithfully the basics and techniques. HA is the stage of break-through. You have to consider other teachers or teachings and develop your mind and technique, adopting their good points. RI is the stage of departure. You have to organize your study and find your own way to create something new. The goal is to establish the way. SHU-HA-RI concept means that you need to advance step by step to master something. This whole process must be initiated with young children and can be applied all through the life of any human being. As judo people, we have an important responsibility. It is not important to win or to lose. What is important is to look for the beautiful technique. As I already said, Japan doesn't want to keep judo for itself. When I am asked by non-judo people why we don't keep our 'secret' for us, so we could defeat anybody, I prefer to say that we want to teach to everybody and then we try to defeat them. It is more valuable. Coming back to what proper judo is: 1 - It is the bow. 2 - Proper gripping. 3 - Proper technique. 4 - Ippon. 5 - To Show respect. Mr. UEMURA, did you see proper judo over the weekend here in Tokyo on the occasion of the Grand Slam? Yes, I did see great and spectacular judo with beautiful ippons, but the quality still needs to be improved. But you know, even myself, I need to improve and I am still on the way to it. We must never stop working. For that, I am really keen to cooperate with the IJF for the development of judo at an international level. We have that responsibility. In Paris next year, we will hold a kata seminar for instance and we are already collaborating with the Brazilian Judo Confederation. The first contact with Brazil were made 120 years ago, when many Japanese people moved to South America. I am myself ready to get involved on the field to spread judo at a wider scale. It is also important to involve our champions. Sometimes, people think that the best athletes are not necessarily the best teachers. I don't agree with that. Good competitors have the potential to become the best teachers, but they need to work and study for that in order to be able to transmit their passion. Judo is beautiful and can bring so many things to the world, to the humanity and can help the development of a better society. That's what we believe in at the Kodokan and I know that the IJF does the same. 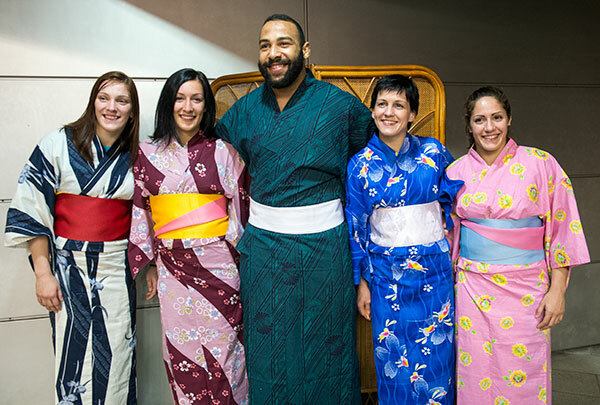 Just before the starting of the final block, the athletes had the opportunity to discover a little bit more about the Japanese culture and tradition by trying the traditional kimono (picture: Slovenian team joined by Roy Meyer from the Netherlands). This last day of competition also offered a good opportunity to Mr. Vladimir Barta, IJF Head Sports Director to draw a conclusion of this season: "I think that the Tokyo Grand Slam perfectly closed this season's World Judo Tour. We could see that one after the other, all events were improving. Today everybody clearly understands what is requested and what needs to be produced by everybody to create world class competitions. "Since the Olympic qualification process started several months ago, we already had 21 events that counted for the Olympics (including the continental opens). The IJF will publish the current situation of the qualification and we will be able to precisely follow at any time who is or not qualified. This will be a strong tool for all delegations to choose in which competition they want or they have to participate. I am also pleased to see that a young generation of champions start to emerge and to participate to the IJF world Judo tour events with a lot of success (like Toth Krisztian from Hungary). They bring spectacular judo and are already totally adapted to modern and positive judo." Progressively, the current Olympic champion Kayla HARRISON (USA) comes back to her best level. After having collected several honors since her bronze medal at the world championships, in Chelyabinsk last summer, for this last event of the year, she entered again the final of a major IJF World Judo Tour event. For this last fight of the day in the -78kg weight category, she was opposed to SATO Ruika (JPN), bronze medallist last year in Tokyo. After a little more than a minute of fight, the American scored a first advantage with one of her ample arai-makikomi techniques for waza-ari. The last shido that she received for false attack, didn't change the results, and HARRISON could quietly but surely express her satisfaction for this last gold medal of the season. The first bronze medal opposed OGATA Akari (JPN), former silver medallist and Anamari VELENSEK (SLO), bronze medalist last summer in Chelyabinsk. Being penalized several times, VELENSEK suddenly produced her effort and with a precise achi-waza technique sent her opponent to the ground for ippon. In the second bronze medal contest, Yahima RAMIREZ (POR), whose best result this year was a bronze medal at the Panamerican Open in Miami, faced another member of the Japanese team, HAMADA Shori (JPN), gold medalist at the European Open in Glasgow, in October. With no discussion, HAMADA scored twice with a ko-soto-gake and a o-soto-gari for waza-ari-awasate-ippon. In the absence of the World Number 1, Idalys ORTIZ, in the Final, the last female combat of the tournament and of the year opposed the two Japanese teammates, INAMORI Nami (JPN) and ASAHINA Sarah (JPN). With a beautiful piece of o-uchi-gari for ippon INAMORI Nami finally won the title. Idalys ORTIZ (CUB) was expected to enter once again the final, but she was defeated in the second round by INAMORI Nami (JPN), who later qualified for the last fight of the category. Defeating Franziska KONITZ (GER) with a tremendous ippon in the repechage, the current Olympic and world champion, had one more chance to step on the podium against the world bronze medallist TACHIMOTO Megumi (JPN), who was strongly supported by her public, but it was written that it would not be her day, and once again the Cuban was defeated and disqualified after several infringements (four shido). The second bronze medallist of the category was CHIBISOVA Ksenia (RUS). 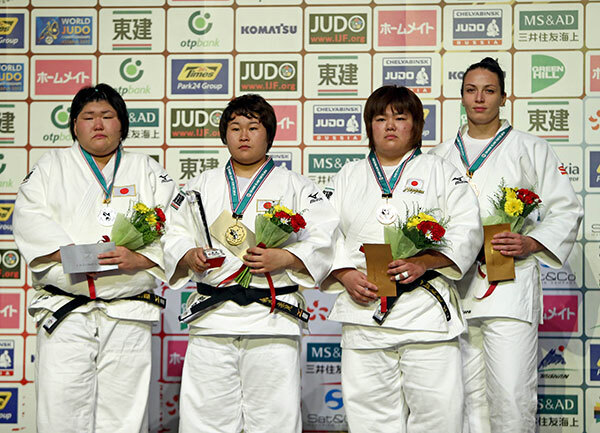 After having defeated the world bronze medallist from France, Emilie ANDEOL, in the first round of the repechage, CHIBISOVA secured a place on the podium as YAMABE Kanae from Japan, was not able to compete due to an injury. It was a difficult day for the favorites in the -90kg weight category as Varlam LIPARTELIANI (GEO) was eliminated in the quarter final and then in repackages, Kirill VOPROSOV (RUS) lost in the third round, Noel VAN T END (NED) in the second and current world champion and former Olympic champion, Ilias ILIADIS (GRE), was also rapidly out of the competition, after having lost against Aleksandar KUKOLJ (SRB). Thus the final opposed, GWAK Dong Han (KOR), already winner of the Jeju Grand Prix, last week, and NISHIYAMA Daiki (JPN), two times world silver medallist. Almost two minutes were necessary to see the first intervention of the referee who gave a shido to NISHIYAMA for passivity. The public thought that the moment had come to explode with joy, when NISHIYAMA engaged a huge o-uchi-gari. But GWAK was able to avoid the attack and the momentum created by NISHIYAMA helped him to score waza-ari, changed into a yuko, with a drop seoi-nage, enough to remain on the top of the podium. 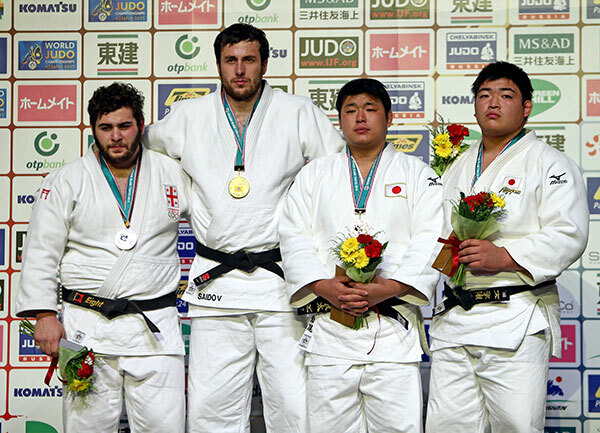 The first bronze medal fight of the last day of competition at the 2014 Tokyo Grand Slam opposed BAKER Mashu (JPN), only 32 at the WRL before the start of the competition, and IDDIR Alexandre (FRA), first in Tashkent this year, who until the semi-final and a loss to NISHIYAMA Daiki, had a perfect competition. Less than a minute was necessary to BAKER to score waza-ari with a ko-soto-gari, immediately followed on the ground by an immobilisation for ippon. 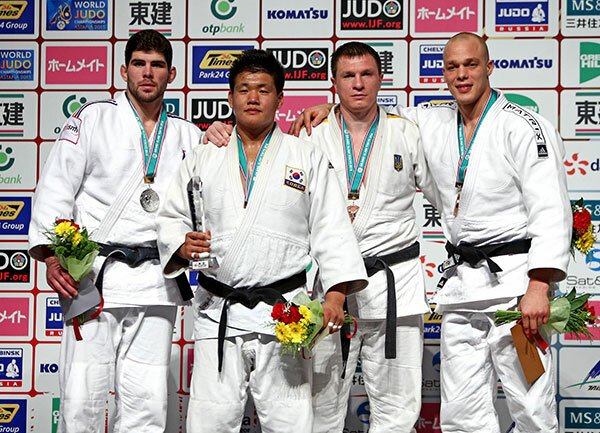 The second bronze medal fight opposed KIM Jae Yun (KOR), so far only with a 5th place as the best results of his season at the Jeju Grand Prix, last week, and NAGASAWA Kenta (JPN), with no record this year at the international level. Penalized more, NAGASAWA conceded the defeat and KIM won his first major medal of the season. Top seeded athlete of the category, Cyrille MARET (FRA) was one of the favorites of the day, who finally reached the final where he was opposed to CHO Guham (KOR). A very tactical fight was engaged between the two athletes, CHO Guham producing the most dangerous actions with a combination ipon-ko-uchi-gari and a drop eri-seoi-nage for no score, but enough to give him the advantage of the penalties. The first bronze medal fight could have been a final as well, as it opposed Olympic and Wworld medallist, Henk GROL (NED) and former world champion from Brazil, Luciano CORREA. Rapidly penalized with a first shido CORREA looked totally dominated by the powerful gripping of GROHL, who finally scored ippon with a counter-atack, after GROL had already entered a strong o-soto-gari which was blocked by CORREA. The second bronze medal fight opposed two European athletes, Artem BLOSHENKO (UKR), winner of the first edition of the Tbilisi Grand Prix, earlier this season, and Martin PACEK (SWE), who won the Qingdao Grand Prix a few weeks ago and confirms to be among the best -100kg athletes in the world. But this last fight of the season was too much for the Swedish, who could not find the solution against BLOSHENKO, the Ukrainian winning by penalties. The very last combat of this 2014 season was the final of the men's +100kg between Levani MATIASHVILI (GEO) and Renat SAIDOV (RUS). The first strong attack came from SAIDOV, who unbalanced his opponent with a sasae-tsuri-komi ashi but not enough to score. Then SAIDOV repeated the same combination that he used to defeat SHICHINOHE in the semi-final but MATIASHVILI miraculously escaped. But obviously, SAIDOV looked more concentrated and one minute later scored a yuko with a counter attack concluded on the ground with an immobilisation for ippon. In front of his public, SHICHINOHE Ryu (JPN) was one of the favorites of the last category of the day. Silver medallist this summer in Russia, on the occasion of the World Championships, only defeated by Teddy Riner (FRA), SHICHINOHE was surprised by the velocity of Renat SAIDOV (RUS) in the semi-final who secured the victory to enter the final with a perfect transition from standing position to groundwork, concluding his work with a precise armlock for ippon. 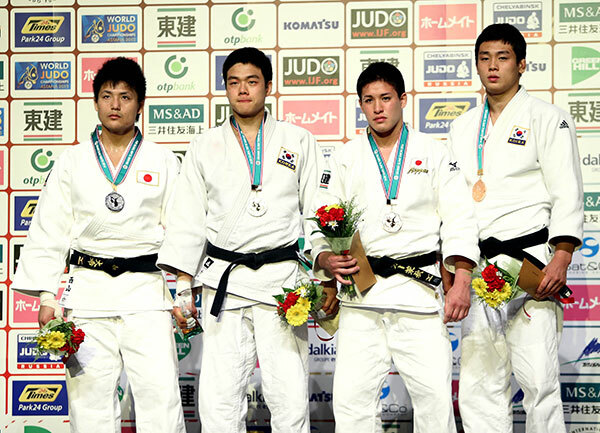 To reach the podium, SHICHINOHE Ryu was opposed to his teammate IWAO Keita. But the silver world medallist, looking tired, was not able to create enough momentum to move his opponent who benefited of a small mistake of SHICHINOHE to throw him for yuko with a counter attack. Enough for IWAO to win the bronze. The second bronze medal fight saw the two other Japanese athletes of the category, KAMIKAWA Daiki (JPN), last competitor who defeated Teddy Riner (on the occasion of the Open World Championships in Tokyo 2010) and OJITANI Takeshi (JPN). Leading the fight with only penalties, KAMIKAWA, was finally defeated by OJITANI, who scored a small yuko with a arai-makikomi technique.